Advanced reporting within M2M ERP delivers instant access to the data you need, for making critical decisions with ease and speed. M2M ERP offers easy to use tools to help you better understand your business. From drag and drop report creations, finical consolations and budgeting, to operational set up, maintenance, and administration, advanced reporting provides everything you need. M2M ERP advanced reporting helps you find answers faster with the ability to run both financial based and non-financial reports, generate multi-company multi-currency reports, perform painless consolidations and eliminations, and much more. All report within M2M ERP offer the ability to drill down from a high level directly to the source of the data with just a few mouse clicks. In addition to tabular reports, advance reporting tool provide graphical reports with the same powerful drill down functionality. When you need to combined data from multiple reports, you can take advantage of the package's features to bundle the information so it can be viewed simultaneously in one work space. With highly visible dashboards that contain graphs, charts, gages, and other interactive tools, it's never been easier to view KPI's to drill down to detailed information and keep your business on track. This is true because advance reporting is integrated with your M2M ERP database reports can be created and customized effortlessly. Built in reporting templates allow users of all skilled levels to built reports quickly using drag and drop. Now you could see the data you want to see with no advance technical skills required. What if you could create enterprise reports as easily create a standard spreadsheets? Using advanced reporting's intuitive report designer looks and feels like the spreadsheets you use every day. Additionally, with advanced reporting's scheduling functionalities, reports can be automatically produced, published, and distributed to team members as needed. 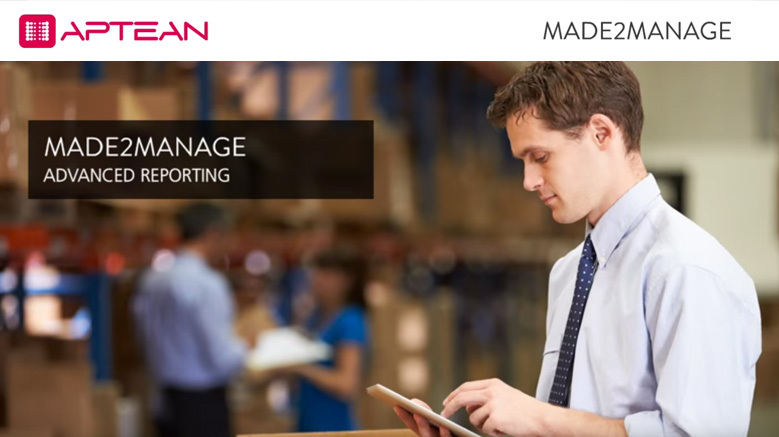 M2M ERP Advanced Reporting gives you the ability to create custom financial and operational reports, complete with full drill-down capabilities to empower you to better understand how your company is performing, what changes need to be made, and what is the best course of action going forward. To learn more about M2M ERP with Advanced Reporting functionality, please contact us today.